Billie Lourd is a class act. As devastated as the world was by Carrie Fisher's passing, few of us were left with the same tragic hole in their heart as her beloved bulldog, Gary. Gary was a constant at Fisher's side and his heartbroken tweet following her death left his 50,000 plus followers deeply concerned about what would happen to Gary next. As we hoped would happen, Billie Lourd, Carrie's daughter (and, of course, Debbie Reynold's granddaughter!) will be taking over mommy duties for Gary. He seems pretty stoked about it, too. One of the most wonderful facts uncovered by Fisher's untimely death was the beautiful relationship between this mother-daughter duo. When most of us think about the adult children of celebrities, we imagine spoiled brats with expensive bad habits who feel entitled to all while expression resentment for the family that made their gifts possible. Given Fisher's open admission of her struggles with sobriety, it could feel safe to assume that any child of hers would fall neatly into that stereotyped package. I spent a decent amount of time today sucked into the rabbit hole otherwise known as YouTube watching interviews of Lourd — both with and without her famous mother — and what I saw was someone as classy as they come, gifted with her mother's bright spark, intelligent humor, love of life and refreshing authenticity. 1. She has the kind of DNA that makes even the gods jealous. 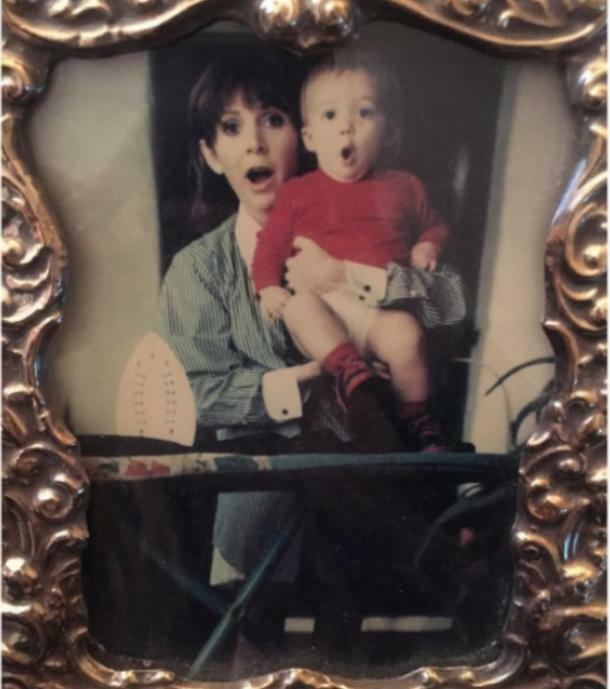 Lourd is not only Carrie Fisher's daughter, but, as her proud "Abadaba" wants you to know, she is the granddaughter of legendary silver screen actress Debbie Reynolds. Toss in some sparkling genomes contributed by her maternal grandfather, the late singer Eddie Fisher, a dash of fabulous sitcom star aunt Joely Fisher (from Grandpa Eddie's marriage to Connie Stevens), and that would be plenty of star power to make any one person's head spin. The paternal cherry on the top of her gene pool is, of course, her father — MEGA agent to the stars, Bryon Lourd, who has served as Partner, Managing Director and Co-Chairman of powerhouse Creative Artists Agency (CAA) since 1995. 2. She had a 'gender-neutral' upbringing. "She told me to be true, and kind, and confident in yourself. She raised me to not think of men and women as different. She raised me without gender. It’s kind of the reason she named me Billie. It’s not about being a strong woman — it’s about being a strong person. She once told me, 'I never sat you down with a credo. It was more about leading by example.'" 3. In Tori Spelling-style, she landed her Star Wars role all on her own. In a Today show, interview with Kathie Lee and Hoda, Billie shared the details of how she snagged a role in Star Wars VII: The Force Awakens. "I brought in my professional resume instead of, like, and acting resume and a head shot. I brought in, like, all my internships. It was like, 'Hi. 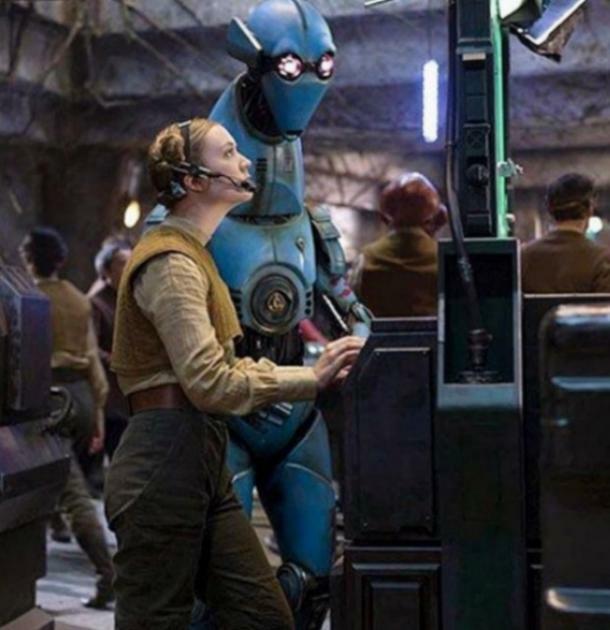 I've never really done this before but I work really hard and I would love to do this and I did my audition and ended up getting this Lieutenant Connix role and had one of the best times of my life." In fact, she made it a decent way through the shooting of the film without anyone knowing her link to Fisher! 4. She stars on a fantastic TV show. Billie began playing the role of Charles Manson's biological daughter Chanel #3 in MTV horror-comedy series Scream Queens in 2015. On top of the beauty in the fluffy earmuffs she wears as her signature wardrobe item being an accidental ode to her mom, she's just frigging hysterical. 5. 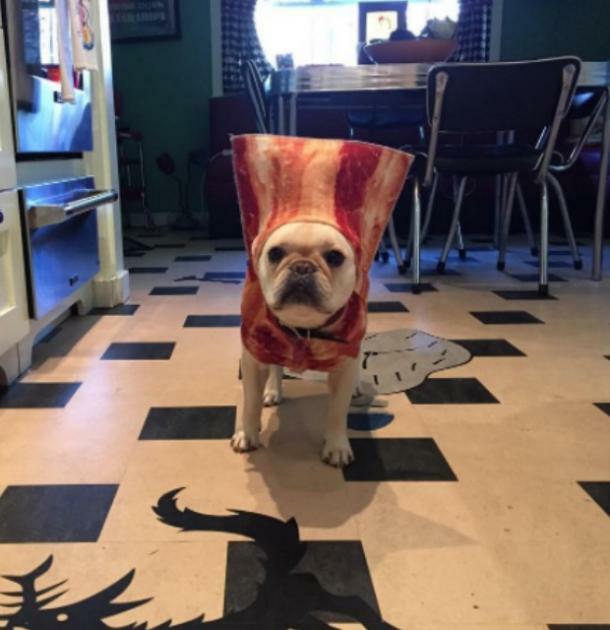 She already knows how to bring home the bacon. This is perhaps the most major secret of all ... GARY WAS BILLIE'S PUP FIRST! In the same interview, Hoda asks Billie if she loves Gary (duh), to which Lourd replies, "I live for Gary. He mine first and she actually stole him from me because she fell in love with him." Gary will join Billie's adorable French Bulldog, Tina (above), in what I am sure will be a household full warmth, love, and joy, even as the gaping wound of Carrie Fisher's absence in their lives may never fully close.